The temperature is not cooperating, but today is the first day of fall. Thank goodness. I’m ready to turn on my oven and spend hours slow cooking food. I’m craving a hot bowl of soup on a cool, crisp autumn night. And I can’t wait to start cooking with fall produce. Unlike summer produce, which needs nothing but a splash of olive oil and salt and pepper to be ready for the table, fall produce requires a bit more effort from the cook. Fortunately, my arms are ready to do battle with winter squash and I bought an extra peeler the other day in preparation for apples, sweet potatoes, and the like. It’s good that I’m ready, as I have a lengthy list of recipes that I plan to make in the coming weeks. There will be another batch of applesauce (hopefully I’ll be able to acquire another bushel of North Carolina apples this fall) and I can’t wait to bake that standby comfort food favorite: chicken pot pie. 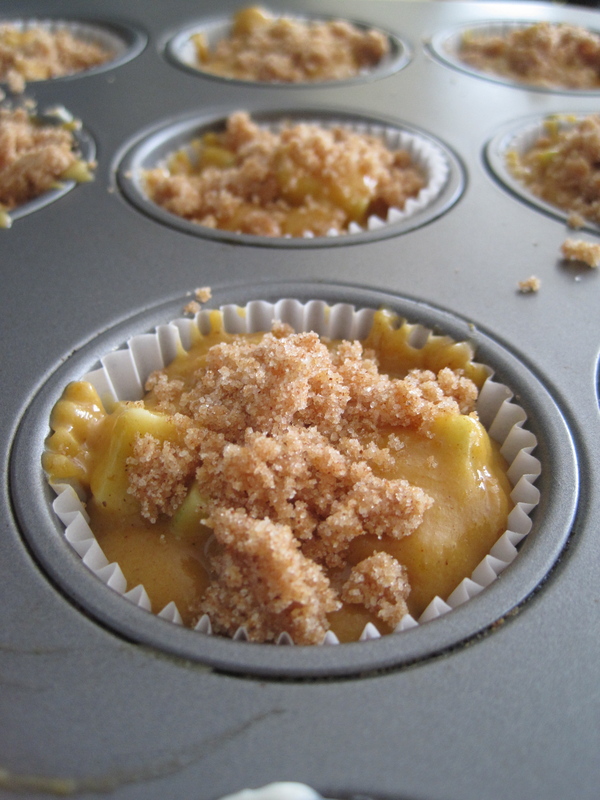 While my list is long, these Autumn Apple and Pumpkin Muffins occupied the top spot. Moist, perfectly spiced, and tasting of autumn, I wasted no time in making these muffins and they disappeared just as quickly. Pie spices, like allspice, nutmeg, and clove, season the canned pumpkin and tender chunks of Granny Smith apples dot the final product. 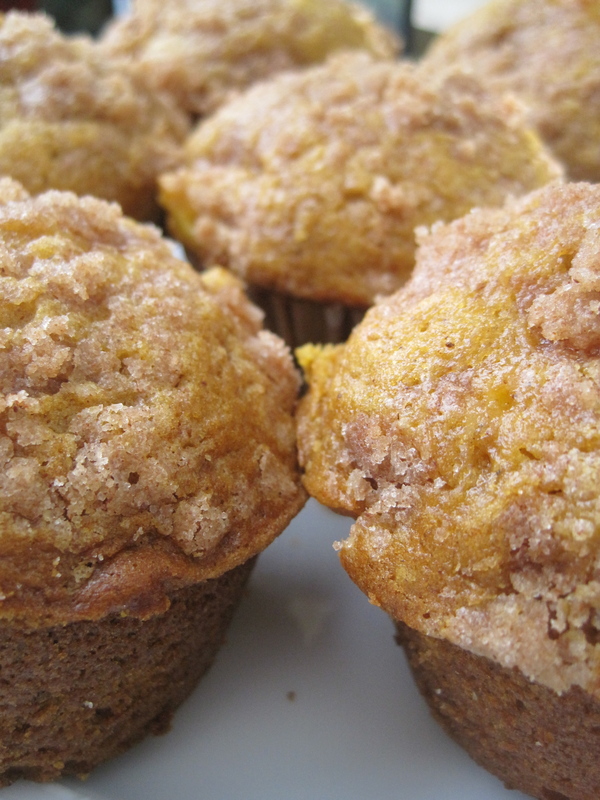 Topped with a crunchy, sweet streusel these muffins are a real treat for breakfast, as a snack, or even as a delicious fall dessert. This recipe originated at Rebecca’s Gourmet Bakery in Cary, NC. The original recipe is for two loaves, but I opted to double the streusel topping and bake individual servings instead. While the bread is delicious, I prefer the muffins as they cook more quickly and stay deliciously moist. Preheat the oven to 350 degrees and place a rack in the center of the oven. Generously grease 18 muffin cups or line them with paper muffin liners. In a small bowl, combine all of the ingredients for the topping and rub between your fingers until the mixture is well combined. Set aside. In a medium bowl, whisk together the flour, salt, baking soda, cinnamon, nutmeg, allspice, and cloves. 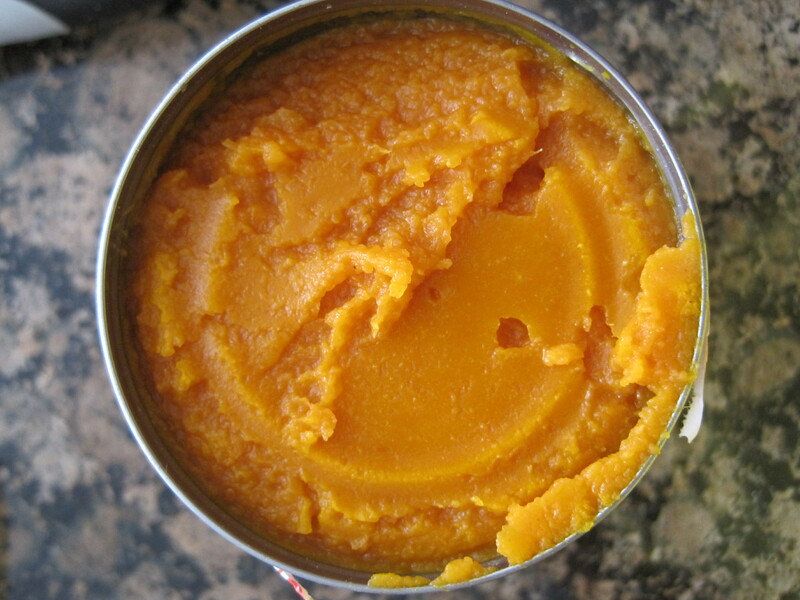 In a large bowl, whisk together the pumpkin, vegetable oil, sugar, and eggs. Slowly add the flour mixture into the pumpkin mixture. Whisk until the flour is incorporated. 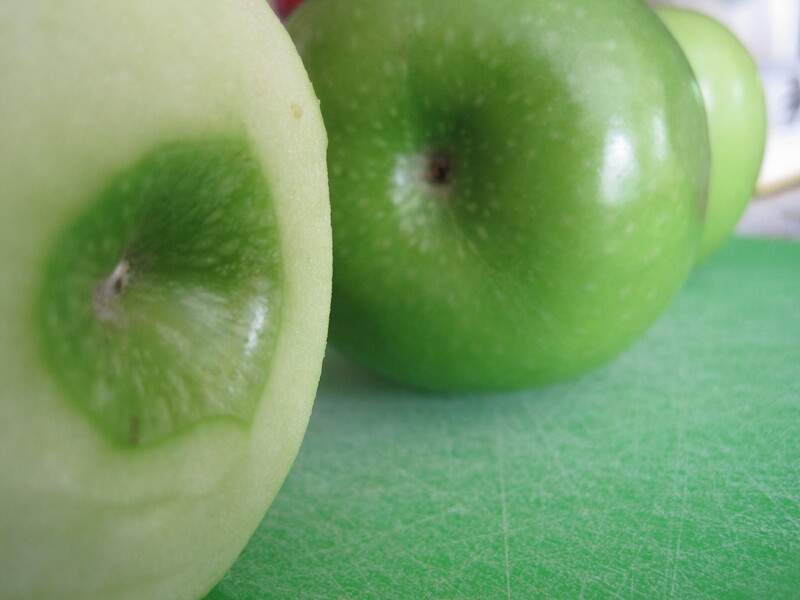 Stir in the apple pieces. Spoon the batter into the muffin cups; filling them almost to the top. Sprinkle the streusel topping over the batter. Bake for 18 to 12 minutes or until a toothpick inserted in the center of a muffin comes out clean. Cool briefly in the pan and then transfer to a wire rack. Serve warm or at room temperature. Mmmm… Adding these to my list to try asap. Do you think they’d freeze well? They freeze great. The streusel won’t stay as crunchy, but it is still delicious! Just tried this recipe today– i love baking with pumpkin. So, so tasty! I cooked mine a little too long, so they were a little dry, but otherwise absolutely delicious. Will definitely be making these again! Glad you enjoyed the muffins. When baking the muffins, don’t be fooled if the tops of the muffins appear slightly under done. They’ll cook a little more out of the oven and you want to keep them as moist as possible! Stop it–these look divine! Muffins are one of my favorite food groups! How do I convert this back to a bread recipe? What tweaks do I have to do? I made the muffins last night and they are wonderful! Would like to do some mini loaves for an event. To bake this as two loaves, simply half the amount of topping. The ingredients for the muffins will stay the same. Divide the batter between two 9 by 5-inch loaf pans and bake for about 55 minutes at 350 degrees. The pumpkins will look slightly undercooked on the top when they are actually done. Definitely use a toothpick to avoid overbaking! 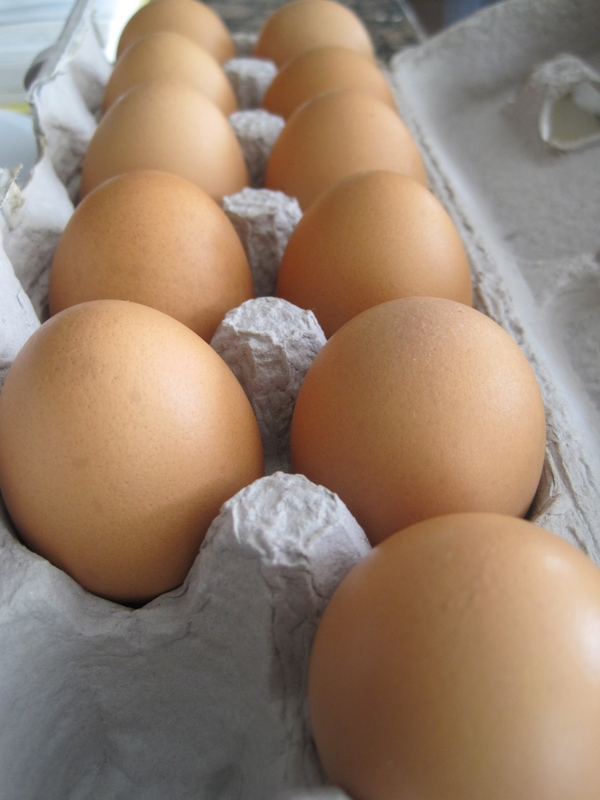 Will be baking these for our thanksgiving morning breakfast! They might be on our table as well. These are my favorite muffins by far! Just pulled these muffins out of the oven. What a great start to this holiday and Turkey Bowl players will surely appreciate them in the morning. Thank you Nikki! Yum! Hope they were a hit with everyone. This is my favorite muffin recipe!